Scanning hot metal detector with 2 sensitivity ranges and laser pointer. The Rota-Sonde DC4000-L is a scanning hot metal detector for continuous caster and rolling mill applications, offering two sensitivity ranges and two self-monitoring functions. ¨The "high sensitivity" range enables detection of steel product at a temperature as low as 230 °C. 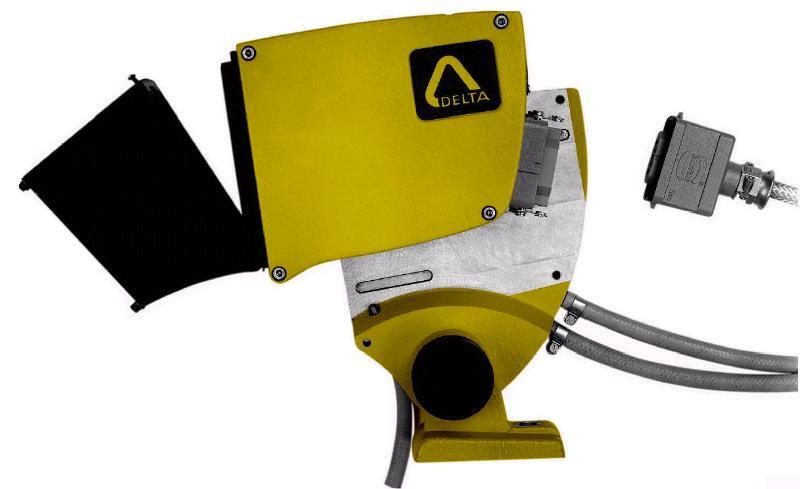 ¨In this way, the Rota-Sonde DC4000-L is convenient for all hot metal detection applications in the Steel Industry and its self-monitoring facility optimises preventive maintenance. The Rota-Sonde DC4000-L is perfectly suitable for all detection applications of low-temperature rolled product or low emissivity materials such as hafnium. If the apparent temperature of the material is uncertain during the design stage, the choice of the sensitivity range of the Rota-Sonde DC4000-L can be left to the time when it is commissioned. The Rota-Sonde DC4000-L is a scanning sensor, which is sensitive to the infrared radiation emitted by hot products. Because of its design and particularly its cast aluminium case, the Rota-Sonde DC4000-L is specially adapted for the harsh environment of the Steel Industry (shocks, vibrations, heat, vapour and dust). The Rota-Sonde DC4000-L is fitted with a special photosensitive cell, the best compound for detection of metal, even at a temperature as low as 230 °C (455 °F). The Rota-Sonde DC4000-L is enclosed in a sealed cast aluminium case. ¨A hood to protect the window glass is fitted with an air-jet facility to blow a vertical air curtain in front of this glass; the protective hood can be hinged down to clean the window. ¨The case is mounted on a cooling plate including a stainless steel pipe and fixed to a mounting stand, adjustable in two axes. ¨The water and air purging connections are on the support plate. 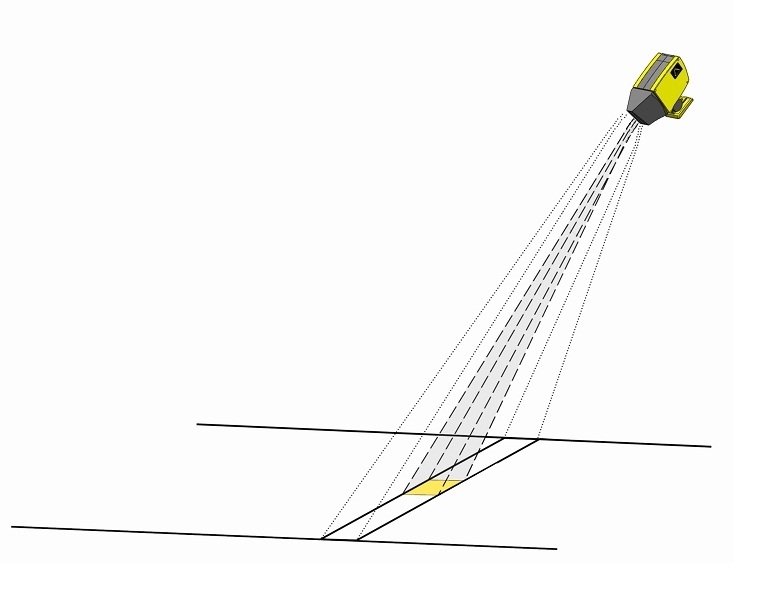 ¨In this way it is possible to remove the sensor without first disconnecting the water and air supplies and without need of optical re-alignment. Sensitive photocell with a better detectivity factor at low temperatures and in the presence of water vapour. Two sensitivity ranges with remote selection. Laser pointer for easy alignment. Two sensitivity setting potentiometers (one for each range). A TEST button to control a built-in lamp for simulation of the presence of hot product in the field and to switch on the laser pointer. Monitoring of the excessive internal temperature (limit of 55 °C / 130 °F) indicating a fault in the cooling system. Monitoring of the photocell signal to indicate dirt on the window or incorrect sensitivity setting. Alarm indicating power supply or scanning defect.